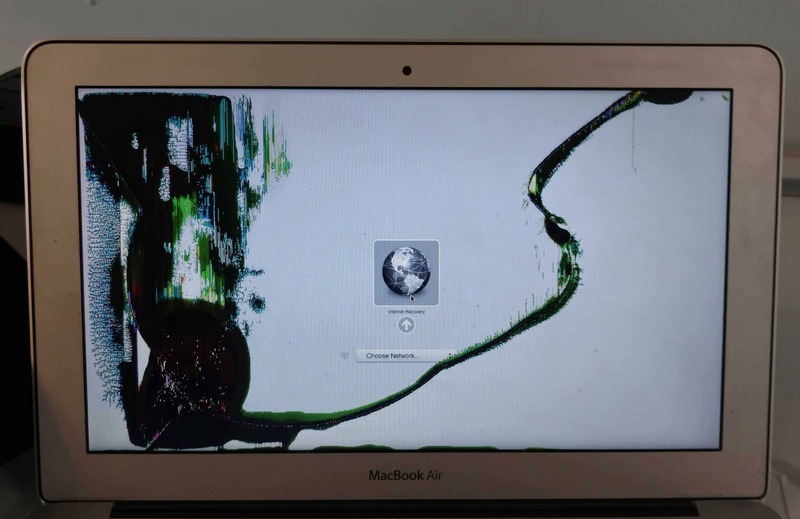 This MacBook Air A1466 has a cracked LCD panel. You can see the green and black colors distorting the image of the screen. This one was hit on the lower front portion of the display, causing damage to the LCD. How much does it cost to fix a broken MacBook Air screen? Only $200 with our industry leading 24-hour turnaround service. With a new LCD panel in, this computer is back in business and fully functional!